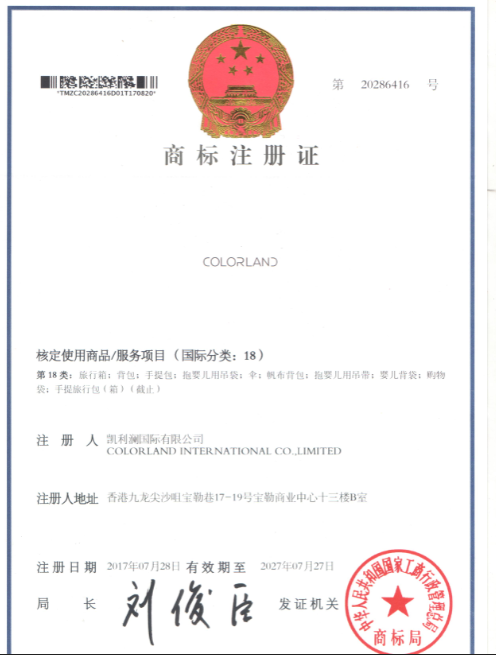 Company Overview - Guangzhou Colorland Mother & Baby Care Co., Ltd.
5YRSGuangzhou Colorland Mother & Baby Care Co., Ltd.
For over 30 years, Colorland Mother & Baby Care Products Company Limited has been focused on product research and development, manufacturing for many well known brands around the world. Today, we have brought professional baby care products to you: baby changing bags, pushchairs, baby carriers and baby feeding bottles. Colorland presents its most vibrant range of mother and baby products ever. Blending style, practicality and comprehensive storage solutions for mother and baby on the go, colorland really does offer a world of freedom and excitement whilst on the move. Our products are created from the highest quality materials making them resilient, durable and easily cleaned, whilst retaining a high degree of individuality and refinement. Colorland has styled an unrivalled range of designs that provides you with an abundance of choice and suitability for every occasion. From intricate print designs to striking multi coloured mosaic patterns, colorland has a product to match your mood or taste. Cross body bags, tote and shoulder bags, family sets, back pack, messenger bags, satchels and casual bags are just some of the ranges available, so you can be sure there is a colorland baby bag that suits your storage, travel and style needs. Since we have been parents ourselves, it has given us a great chance to understand the needs of baby care. We are striving to create a world of quality, individuality and style for ourselves. 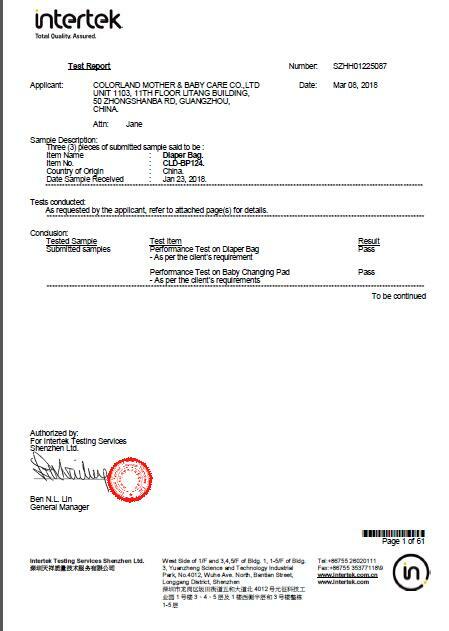 All products from colorland are tested to international safety standards before arriving with you. Thank you very much for your choosing colorland. Our mission is to design and develop products to be the highest standards in quality, style, health and safety, for your family to enjoy. We welcome to any feedback or comments from you.